Here we have the famous saying “Everything We Have Is Taxed Including Our Patience”.Oh why do we all have to pay taxes? Isn’t there a way we can save on these Taxes? ,Here we have the famous saying “Where There Is A Will There Is A Way”. Here in India the Government has provided us a way to save on our Income Tax by making use of the tax deductions available to us. Mustn’t We Make Use Of This Splendid Opportunity Available To Us? I would like to remind all of you that the team of Financial Planners at IndianMoney.com are always there for you to plan your Tax Planning needs in a most effective and efficient manner. 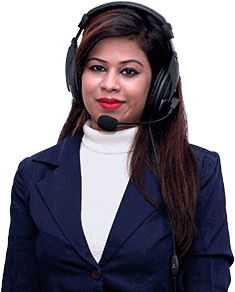 You can explore this unique Free Advisory Service just by giving a missed call on 02261816111. Let us consider the case of Mr Naveen a 65 year old Elderly citizen. He earns 14 Lakhs per annum working as a manager in a retail firm. Mr Naveen is very frugal and not only pays his taxes on time but also studies all available tax deductions which apply to him. The Income Tax Slab Shown below is the one which concerns him. 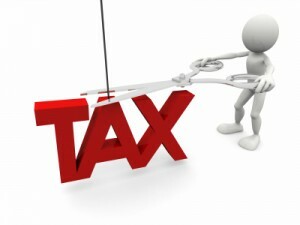 In order to solve our Taxation queries we can look up the website IndianMoney.com. Here this would be the Income Tax Rate payable by Mr Naveen had he not used his Income Tax Deductions. Here Mr Naveen invests a sum of INR 100000 towards Senior Citizens Saving Schemes. This is tax deductible under Section 80C. Senior Citizens Saving Scheme is the most lucrative scheme among all small saving schemes and is meant only for senior citizens. Interest income is tax chargeable. Current rate of interest is 9% per annum payable quarterly. Here we have deductions of INR 40000 or the amount actually paid, whichever is lesser for the treatment of a disease or an ailment of the tax payer or a dependent relative .Here the deductions will be reduced by an amount received under insurance of an insurer or if he is reimbursed by the employer. If he is a senior citizen then INR 60000 or the actual expenditure whichever is less. Deductions of INR 50000 to an individual who suffers from a physical disability including blindness or mental retardation. If an individual has severe disability deductions of INR 1 Lakh are available. Here we have Net Income Tax Payable INR 252350 (TABLE -1) where Mr Naveen has not done any tax deductions as per the various tax deduction instruments available to him. Here we have Net Tax Payable INR 187460 (TABLE - 3) where we calculate the amount. Mr Naveen has saved when he made use of the tax saving instruments available to him. Here the difference between TABLE 3 and TABLE 1 is the yearly amount Mr Naveen has saved on tax by making use of tax saving instruments available to him.This translates to a sum of INR 64890. Here we have seen how Prudence, Financial Discipline, Frugality and other qualities have helped Mr Naveen save on his taxes. Don’t you think we all need to inculcate these qualities in us so that they help us not only in saving our taxes but also in our day to day activities . I would like to end this article with the famous quote:“When There Is Income Tax The Just Will Pay More And The Unjust Less ”.